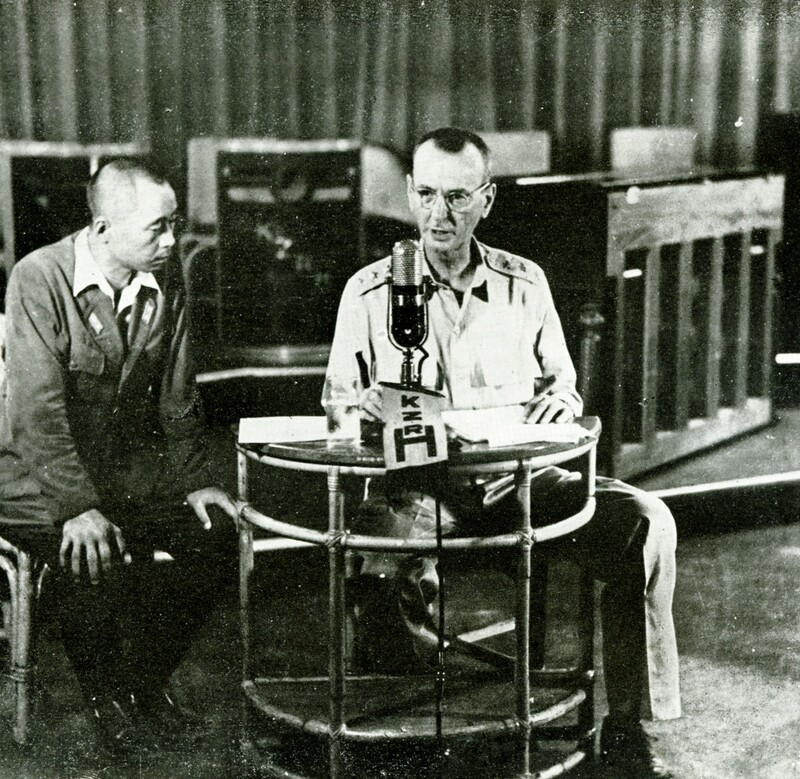 Lieutenant General Jonathan Wainwright broadcasts a surrender announcement in Manila, May 7, 1942. May 6 also marks the second day of another landmark American battle: the battle and surrender of American forces on Corregidor. Japanese forces landed on the island the night of May 5, 1942, and pushed eastward on the morning of May 6 despite several unsuccessful American counterattacks. The island’s commander, Lieutenant General Jonathan M. Wainwright IV, ran up the white flag at noon. Corregidor’s surrender set off a chain of other capitulations in the Philippines that ended formal Allied resistance there until 1944. Wainwright was 59 at the time of Corregidor’s fall, and spent the next three and a half years in Japanese captivity as the highest-ranking American prisoner of war in World War II. After liberation he expected to be disgraced, but came home to a hero’s welcome and the Medal of Honor. General Wainwright came from a military family, and had two significant connections to the Civil War. His maternal grandfather was Brigadier General Edward W. Serrell, who conceived the famous “Swamp Angel” cannon that bombarded Charleston in 1864. Serrell also served in the Overland Campaign as X Corps chief engineer, and later before Petersburg as the Army of the James’ chief of staff. Jonathan M. Wainwright II (the general’s paternal grandfather) commanded the steamer Harriet Lane, which served as David Dixon Porter’s flagship in the Mississippi River and New Orleans operations in 1862. Wainwright was killed in action off Galveston on New Year’s Day 1863. The examples of both men, plus his father’s service in the War with Spain as part of the 1st Cavalry and the Philippine Insurrection as part of the 5th Cavalry, inspired young Jonathan to make the Army a career. Like his counterpart who surrendered Bataan, Major General Edward P. King, the example of his Civil War ancestors helped him do his trying duty. This entry was posted in Emerging Civil War and tagged Corregidor, Jonathan Wainwright, Philippines. Bookmark the permalink. Initially, there was bad blood between Wainwright and MacArthur, because of the surrender. However, subsequently, the two patched up their differences.